As we approach the final days of Lent during this Holy Week, I find the cross more and more frequently in my thoughts. 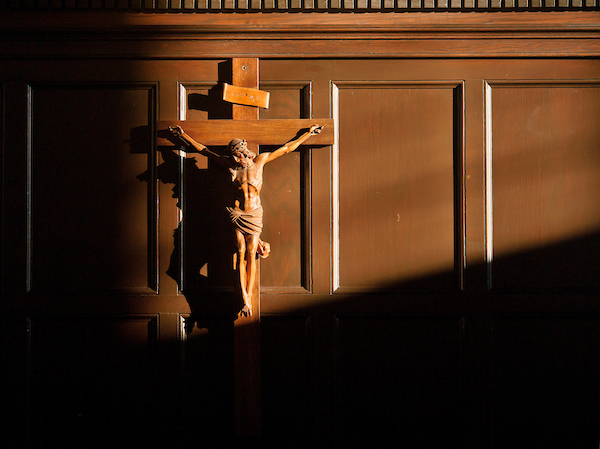 Unsurprising, when Notre Dame was founded by the Congregation of Holy Cross, the motto became Ave Crux Spes Unica – Hail the Cross, Our Only Hope. The cross is never far from my mind. This past Sunday, we heard the full Passion narrative and will be immersed in the saving power of the crucifixion this upcoming Good Friday. These lyrics have been heard frequently during the Lenten season, for good reason. We all have crosses, but Lent provides a distinct time to recognize their existence. We reflect, pray, and truly examine our lives during this season. We take up burdens, lift them up, and try not to begrudge the fact that we must carry them. Simon of Cyrene carried the burden of Jesus Christ, the burden of the instrument of a death sentence that would save the world from sin and death. For however brief a time, he carried the weight. He was not exactly willing, but he nonetheless carried that unimaginable burden. He did not get to choose if he carried that burden. He was pressed into service in this way, drawn out of the crowd to take the weight off of Christ’s shoulders. Simon carried the weight because Jesus had fallen, had shown his physical, human weakness. Jesus fell, and others saw him do so. There was no hiding his human weakness, on display for those who watched him carry his cross to Calvary. But we can hide. Most of us lack the sort of crosses that are displayed obviously to the world, and the most complicated struggles are often those we can hide. It is easier to hide what we carry when we are not the center of a spectacle designed to mock and ridicule, with the added humiliation of carrying a gigantic wooden cross that will be the instrument of suffering and salvation. We are not usually subject to quite such a public fall, and do not collapse under our burdens for all to see. Sometimes words fail. Sometimes it takes a visible fall to reveal the heavy burdens that another person could help you carry. If Christ, God made human, can accept the help, we are no weaker for imitating him. The crucifixion was in front of a crowd, and Christ did not have to find the words to express his human weakness. We often are required to reveal ourselves, to lay down our sorrows at the foot of the cross, and ask for help. The cross does not exactly seem like the easy yoke and light burden that is spoken of in Matthew’s Gospel. But we are all called to be Simon as much as we are Christ. To accept the help of others and to pick up the crosses that are not ours alone. We exist in community, the catholic, universal church, sharing all in common for the good of us all. We must share in carrying the burdens of our friends, communities, and the whole world. It is why we share our intercessions publicly in the residence hall Masses. It is why we ask for prayers from friends when we have stressful exams. 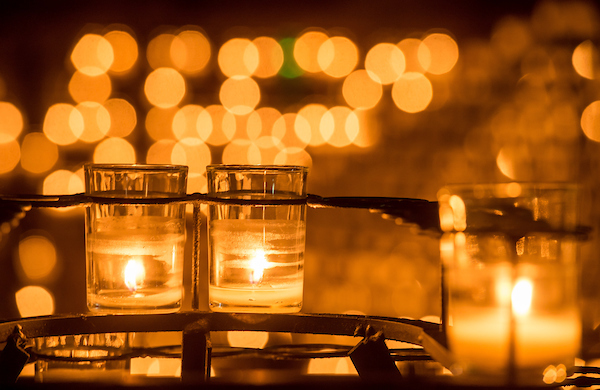 It is why we light candles at the Grotto for all to see, that they may pray for our intentions as well. If we all were expected to carry our crosses alone, without the help of our communities which is ultimately accepting the help of God, we would not be able to rise after our falls. This line from Luke Combs’ song “When It Rains It Pours” has in some ways become my mantra as I reflect on this semester. Coming back from Christmas break, I looked to close out my time at Notre Dame with a positive note, so I wanted everything to be perfect. 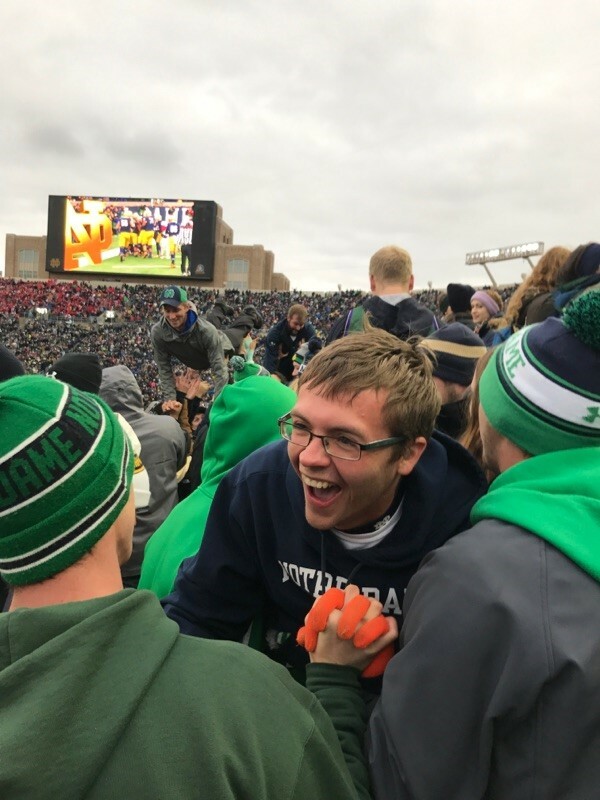 It was all supposed to work out perfectly where I could finish everything on my Notre Dame bucket list, do fun things with my friends all the time, and finish off undergrad on the best note possible. Unfortunately for me, none of this came true. My semester started off with too much going on, some strained friendships, and nothing going my way. Rather than trying to work on my overwhelming stress and anxiety, I put on the “it’s fine, I’m fine” attitude, internalized all my emotions, and continued on my path. This just further perpetuated my negative feelings, putting more stress on my relationships and isolating me even more. Eventually, I broke down and thought it was the death of me. I completely lost it at the simple question, “Mike how are you?” The strong facade I had been putting forth for weeks had finally broken down and everything I built myself up to be – strong, independent, put together – was lost. It was difficult to admit that I could not do everything on my own and I needed help, but, as said perfectly by Combs, it was my saving grace. I finally started to seek the help that I needed to healthily work through the stress and emotions I had been internalizing. Upon further reflection, I realized that I was holding onto much more than emotions – I was holding onto my pride by trying to maintain the semblance that I could handle everything by myself and didn’t need help. In hindsight, it’s a laughable thought. I not only couldn’t handle everything myself, but I was surrounded by people who were more than willing to help me. Every person that I have talked to since I finally decided to get help said something along the lines of, “Mike you know that I was and always will be here for you right?” Yes, I did, but pride kept me from seeking the help I needed. Mike bearing a storm with the support of his community. What I know now is that this pride was also keeping me away from God. Throughout this whole time, my faith and prayer were suffering. I wanted to hide my feelings from everyone, including myself and God so I avoided things that would force me to face my emotions and be honest. I had put on this feeling that I could make it through by myself and did not need or want others or God to help me. As I reflect upon this time, I can see that there was plenty of times that people reached out to me asking if I was okay because something did not seem right. Every time I put on my mask of pride and said I was even though I knew I was not. Only through the death of this pride was I brought back to God and able to work on this relationship again. Rather than avoiding conversations that could lead to talking about my relationship with God, I have sought out meeting with people in order to improve my relationship. In this way, it was only through death that I was able to be brought back to life. Mike’s community literally lifting him up. As this Lenten season comes to a close and Easter fast approaches, we look for things in our lives that need to die in order for us to come back to life. For me, I needed to stop telling myself that I could do everything on my own and didn’t need anyone’s help. While I still continue to struggle every day with not letting my pride get the best of me, I always remind myself that I have a supportive community around me. While I might feel like I’m burdening someone by putting my emotions and stress on them, I have to realize that this is exactly what community was made for. And in an odd paradox, I actually found that by trying not to burden my community by keeping everything to myself, I was actually hurting it. The stress I was keeping to myself manifested itself in irritability toward my friends and a general sense of disconnect from everyone around me. This made it less likely for me to hang out and have an enjoyable time with my friends. It may not have felt right at the time, but I have now learned that bringing my problems to my community will actually help my relationships with others as well as with God. This is just another example of how the “death of me” has truly become “my saving grace”. It’s a question that I get asked quite often here at Notre Dame, and I’m sure it’s one of the most common conversation starters for many of us. Most of the time, I would always take the question literally, answering that I grew up just a little bit outside Jakarta, Indonesia. It’s easy; it’s where most of my family is, and where my childhood home is. 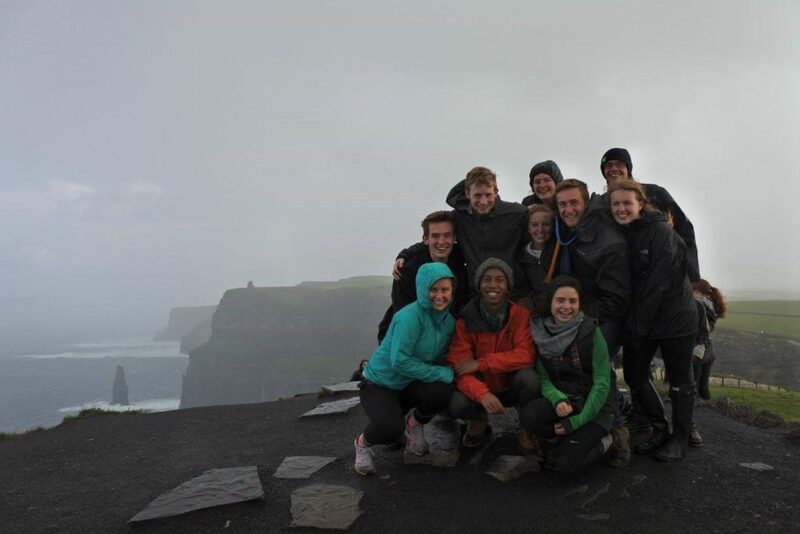 But now that the end of senior year is looming, I have gotten to reflect more on what “home” means to me. Lately, my concept of ‘home’ has expanded. I have come to realize that home is not just about a particular place. In addition to where my family is, I now associate home with the other places, communities, and times when I have been so welcomed, accepted, and embraced with warmth and hospitality, when I have felt at peace and comfortable to be my authentic self, to share my thoughts, beliefs, and values, to engage in heartfelt conversations, and to be vulnerable. This shift in my perspective came about over this year’s fall break trip to André House of Hospitality in Phoenix, AZ. 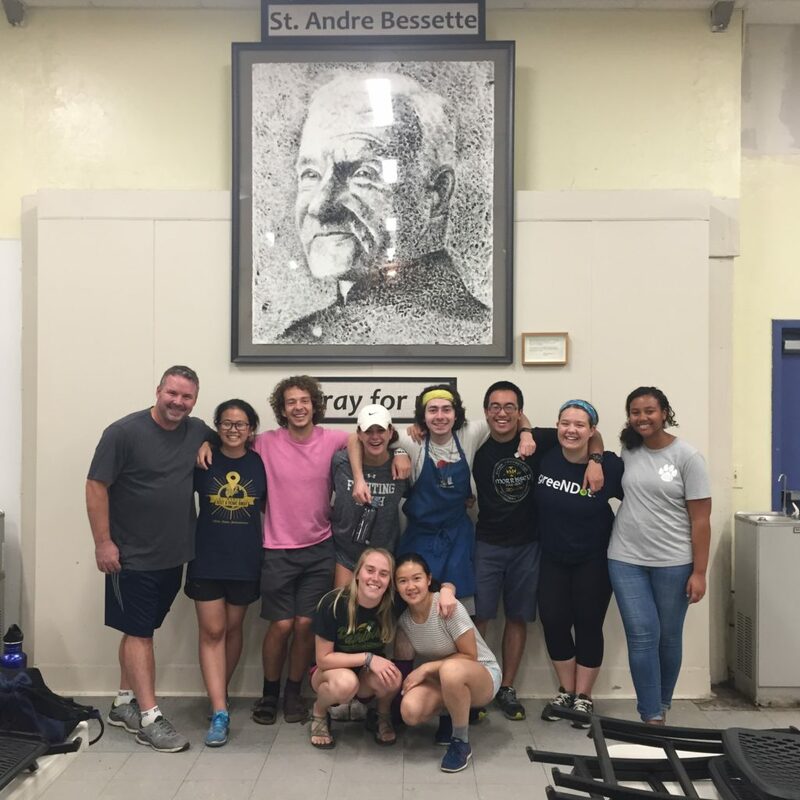 I was with a group of fellow Notre Dame students, and we were there for the week, serving and engaging with people who are experiencing homelessness. We would start each day by rotating through different jobs from helping with meal preparation in the kitchen, clothing distribution, managing and cleaning the shower facilities, helping at the main office, serving food during dinner time, handing out tickets to the guests, or washing the dishes. One of my favorite jobs, however, was being a “porter.” It involved staying outside the building, by the entrance, and welcoming guests as they come in. I personally think that ‘portering,’ which sounded like such a simple job, was what makes André House such a special place. The duty comes with opportunities to encounter the people, to engage in thought-provoking, humbling, vulnerable, and genuine conversations with the guests who would come in for the services. I had the opportunity to hear about their day, their struggles and frustrations, and also their hopes and joy. One person sat with me and shared about his few but prized possessions, which included his Bible. He chattered excitedly about the last passage he was reading, and his favorite verses. Another guest shared about his hope of getting housing soon, after having lived on the streets for months. One guest sat down with me and shared about his injured legs, about his daily struggles, tearing up as he stuttered his words out to me. Another came to me and asked me to pray with him right there at the parking lot. We sat down at a bench, and he told me about his experience of being recently evicted from a shelter, and his hope of finding nice housing. He gave me his outstretched and open hands, and we prayed together under the awnings of the parking lot. The way these people were willing to open up and share such personal and profound things really moved me throughout the time I was there. At first, I was baffled with how much they seem to embrace vulnerability with people they barely knew. However, as the week went on, I also observed the way the core staff and my friends interacted with the guests: asking their names and making the effort to remember them all, listening intently to each guest they encountered, embracing them in warm hugs and greeting them with wide smiles, sharing laughter and tears as the guests shared some of their stories. I realized that they were willing to be so vulnerable because of the way the people at André House reach out to them, offering companionship and human connections with such love and openness. 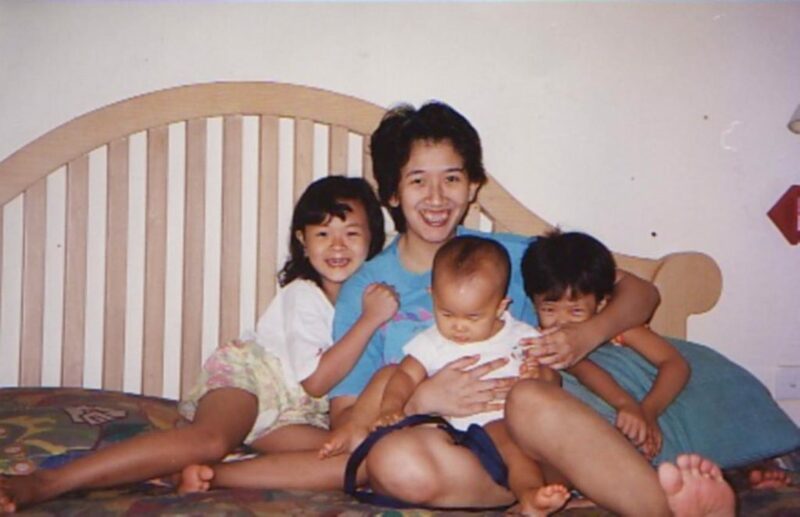 It was this realization that slowly brought me to see that home is more than just a physical roof above our heads—it’s a place of refuge, hospitality, and solidarity, a place where we feel safe, supported, and loved. In the case of André House, it’s a Christ-centered community that acknowledges and celebrates everyone’s dignity as God’s creation, welcoming people as they are, treating everyone they encounter like Christ himself. This realization leads me to feel a deep gratitude, as I reflect on the communities and the people that have made me feel at home. I have been blessed to have found ‘pockets of home’ here at Notre Dame, and also in various places I have been since I left my childhood home—in the loving and supportive friends who willingly accept me with all my quirks and occasional sarcastic tendencies and share moments of vulnerability and solidarity, the caring mentors and professors who believe in me and push me to grow as a person, the faith community that walks with me and helps me see God in every little thing I encounter, and also in some moments of prayer and reflection where I feel a deep sense of God’s peace and love. This feeling of gratitude also comes with a sense of hope, as I grapple with the uncertainties of what my post-Notre Dame life would be like. The future becomes *slightly* less daunting as I know that I have not only my loving family back in Indonesia, but also these various ‘homes’ to return to. I also learn to trust more, as I grow in my understanding that ultimately home does not have to be attached to a place, but instead refers to authentic relationships, welcoming communities, and the unconditional love and constant companionship God readily gives for us all.